Every few months, headhunting firms and recruitment consultants release surveys about hiring trends in the country and in the recent past, every survey has something for the Non Resident Indian. India today, offers better employment opportunities as compared to some of its global peers. But while landing a job in itself might not be difficult, there are some sectors that are keenly looking out to hire those with global experience. “Some sectors require a certain level of skill and experience that are not available within India Companies in these sectors look at hiring from outside India. And if you are an NRI, with these sought after skills, you might just be the right person the company is looking for,” says Aseem Juneja, a cross border talent expert and founder of Indbound.com. And while the salaries in India tend to be around 40-70% of dollar salaries, because these skills are much in demand, salaries can be much higher. Kris Lakshmikanth Founder CEO of The Head Hunters India Pvt Ltd. So which are these sectors? Let’s take a look. Healthcare here mainly includes biotechnology, contract research and manufacturing, clinical research and pharmaceutics. According to this E&Y Report , the Indian biotechnology sector was valued at USD 4 billion in 2010 growing at nearly 21%, in value over 2000-2010. It is estimated that as of 2012, the Indian CRAMS sector (Contract Research and Manufacturing) will be valued at USD 7.6 billion growing at a CAGR of 47.2% from 2007 till 2012. Express Pharma envisaged that by 201 India would be conducting 15% of all global clinical trials. “Typically, those with a post doctoral qualification with research experience in the US would fit the bill,” he says. “The telecom sector in India has seen an explosive growth in subscriber base and volumes. However, margins in voice based service are thin and companies are looking beyond voice. They are looking at value added services (VAS) and the availability of high bandwidth, upgrades and rollouts of technologies (3G etc) is making that possible,” Juneja explains. This report from PriceWaterhouse Coopers states: The mobile tariffs in India are one of the lowest in the world and due to hypercompetition in telecom it is not expected to rise in near future. VAS remains only effective tool to increase the ARPU/share of wallet of subscribers. Multilingual content, application support around languages, killer applications and readiness of handsets could drive over Rs 55,000 crore of VAS revenue by 2015. With the launch of 3G services and expected launch of high bandwidth BWA services, VAS currently has reached its inflexion point. The constituents of VAS ecosystem such as mobile operators, content creator, handset manufacturer will need to show greater collaboration to achieve full potential of VAS. “Companies need people to build applications and bring innovative services to the table. And currently, much of these skill sets are only available in the developed markets like the US,” Juneja says. According to this McKinsey Report India’s Eleventh 5-year plan envisages infrastructure investments of close to USD 500 billion with USD 430 billion of this in the core transport and utility sectors. About one fourth of this is expected to be met through Public Private Partnerships. As the Government in India slowly opens up the infrastructure sector to private companies, the need for experts in this area is increasing. “Be it building ports, roads, even nuclear plants, private companies are looking to hire individuals who have the experience in infrastructure development,” Juneja says. The entry of Amazon.com in India has cast away any doubts about the future of Ecommerce in India. This report says that some USD 3 billion worth of e-commerce was transacted in 201 And, according to Helion Venture Partners, USD 20 billion worth of e-commerce will be done in five to seven years, with 12-15% of shopping going online in this period. “As Indian Ecommerce and deal companies like Flipkart, Snapdeal etc become popular there is an increasing need for people who have worked in Ecommerce environments – those who can create infrastructure to handle large traffic, build applications, enhance user experience etc,” says Lakshmikanth. Companies in the US are far ahead in terms of Ecommerce, so as an NRI who has worked in that sector in the US, you will be much sought after in India. While India continues to remain a hub for cost effective technology operations, certain niche technology operations still require global expertise. “Technology companies in India for instance might be building a DNA sequencing program for multinational healthcare companies. The functional support for this program will most likely come from someone who has that kind of research background which is available in developed markets” Lakshmikanth says. Juneja too cites the example of pharma analytics as an area that needs expertise from developed markets. Another area – large logistics and supply chain companies that use Indian technology companies to build their modules. “These companies typically need global experts to offer functional support,” Juneja says. In addition to the above, smaller sectors in areas like wine making, gaming etc which are starting to become popular in India are hiring those with global expertise. According to some estimates, wine consumption in India is expected to grow by 25-30% annually between 2009 and 2012 and the Indian Gaming Industry is expected to grow at acompounded annual growth rate of 32% to Rs. 3,100 crore by 2014. Dieser Eintrag wurde veröffentlicht in Indien und getaggt mit amazon, ebay, flipkart, Indien, Opportunities, snapdeal am 8. 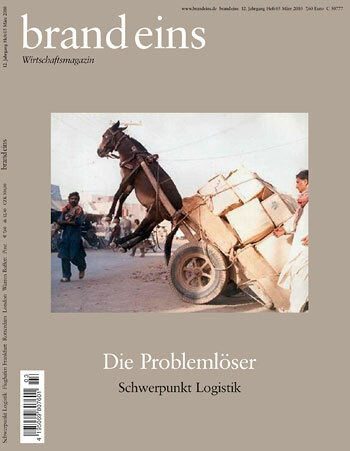 Februar 2012 von innovation.